Recently, I was asked if FileMaker was available in “the cloud”. The answer is Yes! Many of our clients take advantage of the versatility, simplicity, and cost savings of running their FileMaker database in the cloud. It’s called FileMaker database hosting. LuminFire provides hassle free FileMaker hosting of your database and has for many years. Accessibility – You need an active internet connection to access your data. This one isn’t so bad. You need an active internet connection today to do nearly anything on your computer. Speed – Your database may run slower over the internet than one hosted internally in your office due to the internet connection speed and the design of your particular solution. We can, however, work on your database to optimize it for cloud based hosting. Also, FileMaker has worked hard to make it run faster as a hosted solution since version 11. Significant Cost Savings – You can easily budget a monthly fixed fee. Maintaining your own onsite server requires good hardware, FileMaker Server software, and regular operating system maintenance and support that can easily cost thousands each year. Connectability – With your database in the cloud, you can connect it to the web (with custom web site design and WebDirect) and mobile devices (with FileMaker Go on the iPad, iPhone, and iPod Touch). Security – Our servers are located in a secure data center so physical access to the database is prevented. All network traffic is encrypted with the latest SSL technology. We also provide additional security measures required for HIPAA compliant hosting. With the release of FileMaker 15, shared hosting plans are no longer available and FileMaker now requires a dedicated server for each company or volume license. This is more expensive but also provides better security and more reliable performance because you are not at the whim of other databases on the same shared server. Hosting plans range from $100-$3,000/month depending on the # of users and type of database(s) you have. When you include all the time it takes to properly maintain a server on your own, your return on investment shows quickly. To sum up this service: We can host your FileMaker database files and web site on a remote server in a secure data center with redundant, high-speed internet connections and backup power generators so that your data will automatically be backed up to an off-site location and always be accessible over the internet from anywhere in the world. 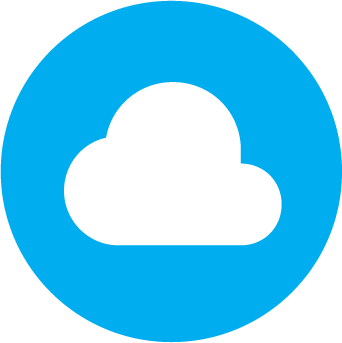 If you’re interested in hosting your FileMaker database in the cloud, we can evaluate your solution and see if it’s a good candidate for hosting. Some databases may need some tweaks to make the performance acceptable. Contact us here to get started. If you need FileMaker licensing we offer the best pricing available.